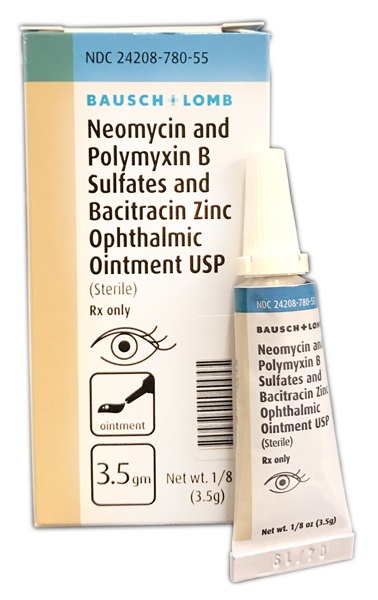 Sterile Neomycin Sulfate, Polymyxin B Sulfate, and Bacitracin Zinc 3.5 mg - 400 mg ointment in 3.5 gram tube. 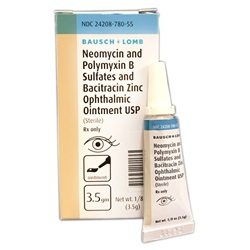 Manufactured by Bausch & Lomb. NDC Number: 24208-0780-55. Comes as singles.